Home Quiz Quiz: What do you know about Bastian Schweinsteiger? Quiz: What do you know about Bastian Schweinsteiger? Let’s see how much you really know about Bastian Schweinsteiger, one of Germany and Bayern Munich’s greatest players. You get 10 questions. Enjoy! In which German city was Bastian Schweinsteiger born? Which club was the first to give Bastian Schweinsteiger his big break as a professional? Which manager handed Bastian Schweinsteiger his debut at Bayern Munich? Which manager gave Bastian Schweinsteiger his debut with the German National Team? Which was the first major tournament that Bastian Schweinsteiger played with Germany? Which famous tennis player is Bastian Schweinsteiger's wife? 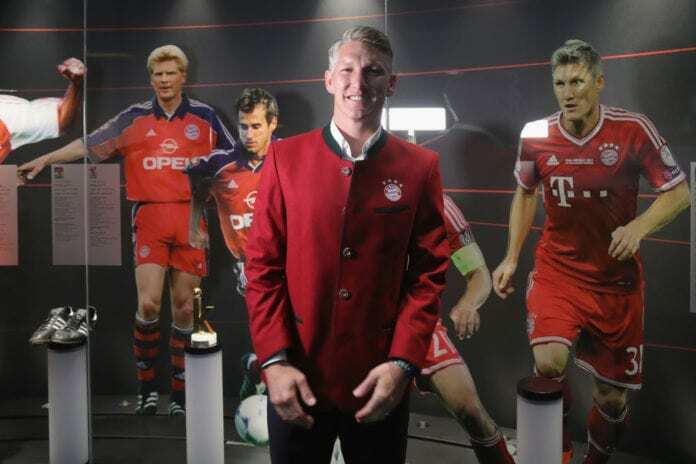 When did Bastian Schweinsteiger win the only Champions League trophy of his career? Which was the only trophy that Bastian Schweinsteiger won as a Manchester United player? How many Bundesliga titles did Bastian Schweinsteiger win as a Bayern Munich player? For which MLS club does Bastian Schweinsteiger play now?